Please email for class information and to receive a confirmation email prior to paying to be sure there is room for you in the class. Click on the links below to sign up for classes using Paypal or credit card. We offer a discounted rate for ongoing students who register for the month or the season. You can email laughingbuckfarm@gmail.com with any questions or for more information. Tuesday Farm School classes are smaller and geared for slightly older kids. It is drop off only for ages 4 and up. 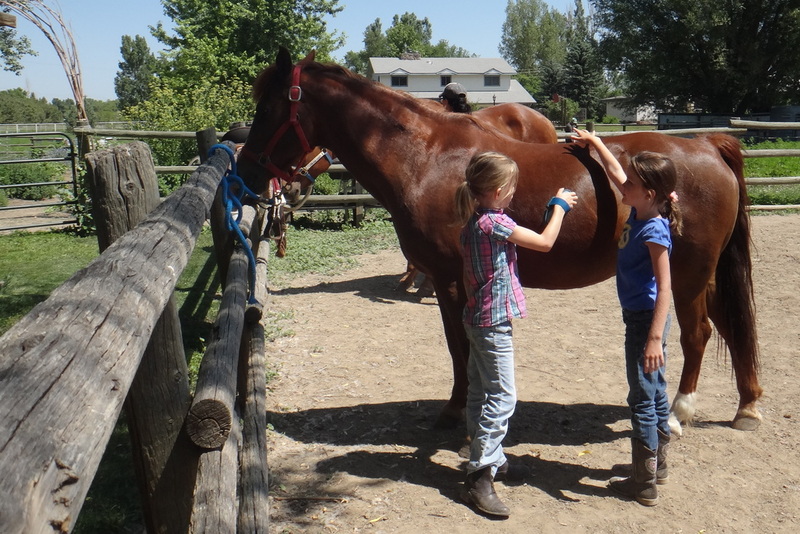 In the homeschool class, we invite children 6 and up to engage in more in-depth, project-based learning in the garden, with the animals, and with the horses. Please email for class information and to receive a confirmation email prior to paying. Friday Farm School classes accommodate all ages. Age 3 and up can attend on their own; parents are welcome to join in. Perfect for horse lovers! 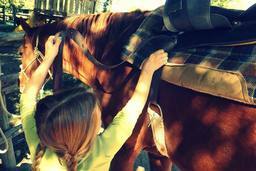 We'll keep busy with things like grooming the horses, cleaning hooves, braiding mane and tails, polishing tack, and learning other horsekeeping skills. And of course we will hug the goats and play in the hay barn.